Coronation Street has been hit by fresh accusations of product placement, just weeks after being caught up in a Channel 4 sting. Despite legal threats by ITV, Channel 4 is to go ahead with a planned Dispatches film next month that allegedly shows Street actors promoting bogus products on Twitter, a clear breach of Advertising Standards Authority rules. The latest accusations concern the character Roy Cropper, who mentioned to his screen wife that he had picked up tickets to see a new theatre show from Strictly Come Dancing stars Flavia Cacace and Vincent Simone during last Monday night’s episode. The plug referred to Midnight Tango, which opened for a five-day run at the Manchester Opera House on July 23 - the next day. 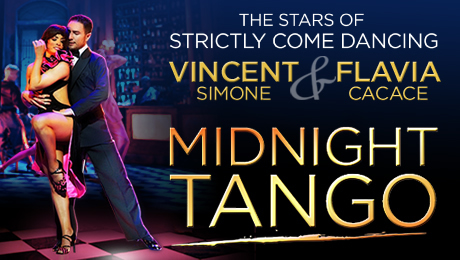 At the time, Cacace tweeted: “Thank you to Corrie for a @VFMidnightTango mention, can't believe it that's amazing x”. Product placements are allowed on the soap opera but a letter ‘P’ must be shown in the opening credits to alert viewers, something which did not happen in this episode. Some have suggested the mention may breach Ofcom broadcasting rules - and may also be connected to the Street's recent recruitment of Jimi Mistry, who is also Cacace's fiance.